A U.K.-based company is using the Internet to connect drivers in Toronto with home owners eager to rent out unused parking spaces on their property. A U.K.-based company is using the Internet to connect Toronto drivers with home owners eager to rent out available parking spaces on their property. "Arriving to a destination and then spending a third of your driving time looking for a space is a horribly inefficient way to navigate cities," says Alex Stephany, CEO of the online service, Parkatmyhouse. "Driving doesn't have to be so wasteful." He said the service will help Toronto drivers find parking spots more quickly and easily, while helping property owners turn empty parking spaces into revenue. 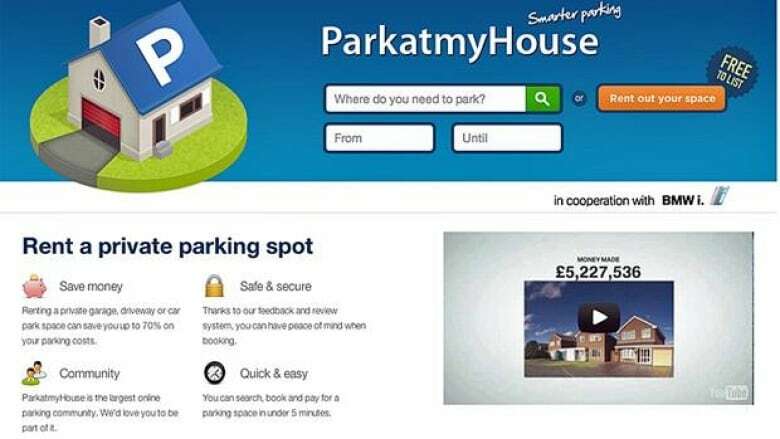 Parkatmyhouse.com enables parking spot owners to advertise their space online for free by registering their location via a Google map service embedded in the website. Drivers log on and search for spots in their desired location, negotiate the arrangement with the property owner, and then book and pay through the online service. The company takes 15 per cent of the rental fee charged. The site currently has more than 250,000 users around the world. It operates mainly in the U.K., but now has a small presence in Australia, the U.S. and Canada. Since the service works through Google maps,anyone can list a parking space, anywhere in the world. Since March 2011, a small number of Canadians have used the service. There are currently 83 active locations across the country, 20 of them in greater Toronto. The company plans to officially launch in Canada next year. Erin Jonah, a student who recently moved to downtown Toronto from New Brunswick, is among the site's early Canadian adopters. Unfamiliar with the city, she worried that street parking was not secure, and found that paid parking lots had restricted hours and expensive rates. When her parents came to visit, she used Parkatmyhouse to find them a parking spot in a condo building close to her home. "If anyone comes to visit us with a car, we'd definitely use it again. It was easy and cheap," said Jonah. Similarly, Sahil Bajaj, a student who lives in a Toronto condominium, advertised his parking spot on Forest Manor Road, near Fairview Mall, about five months ago. Bajaj said that registering on the Parkatmyhouse site took him under five minutes. His posting was quickly found by a driver who has been renting the space ever since. Both parties were subject to a standard liability contract that placed the responsibility on the driver for any damage to their car and the surrounding property. "It’s really innovative," says Bajaj. "It's great for people who don’t have cars but who do have space ... it allows that space to be used rather than go to waste." He's has already pocketed a profit of nearly $750, including $100 in credits the website gave him for speaking to CBC News. However, the City of Toronto says people should check the Zoning Bylaws before renting out a parking spot from their home. 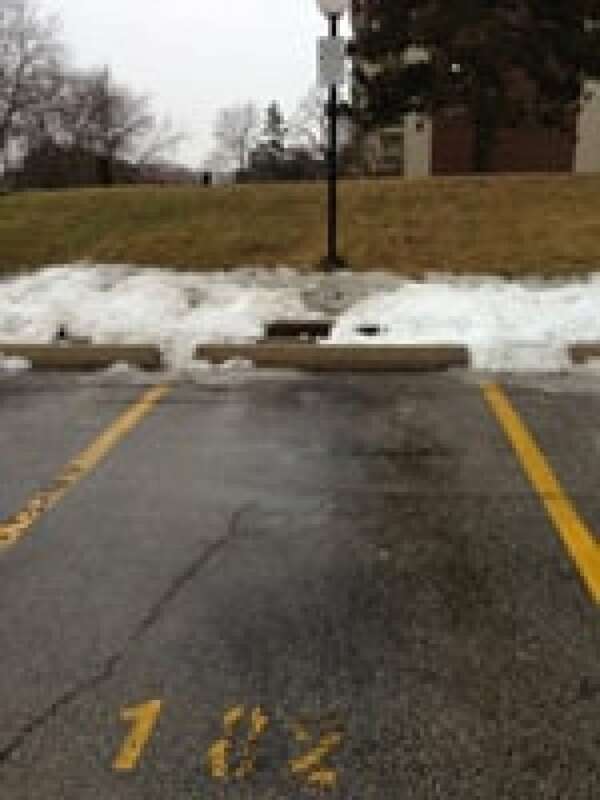 "Generally speaking, parking spaces are designed to be used for the purpose of supporting a use that is located on the same site as the parking (business or home parking)," the City of Toronto said in a statement. Renting a parking space on residential properties would generally not be permitted, unless the property is located in a zone where the by-law specifically allows for a parking area, it said. Breaking these by-laws could lead to a zoning charge and possibly a fine, the statement said. People can check what is allowed for their property by visiting the Toronto Building counter at their local civic centre, it added. Still, property owners who live near busy subway stations and bus terminals may also stand to benefit from Parkatmyhouse. Overseas in London, the All Saints Church near the busy St. Pancras International train station has rented out its spots using the service since November 2007. The parking venture has helped the church pull in $250,000 in revenue to fund local community projects. "We see this as an opportunity to allow people to make and save money," says Stephany. "It's an obvious concept and people get it." However, he acknowledges it will take some time for drivers and property owners to embrace the technology. "People just don’t know that it they can do it, and right now," Stephany says.